Ornamental aluminum fencing has the look and feel of traditional wrought iron fencing, but without the high maintenance and need to be repainted in the future. Also, our prefabbed panels have the option of shrinking the picket spacing to keep small dogs safe as well. Unlike iron, aluminum does not corrode or rust and should never need to be repainted. Aluminum fencing is lighter than steel or iron fencing. These characteristics make it a perfect fence for certain yard situations. 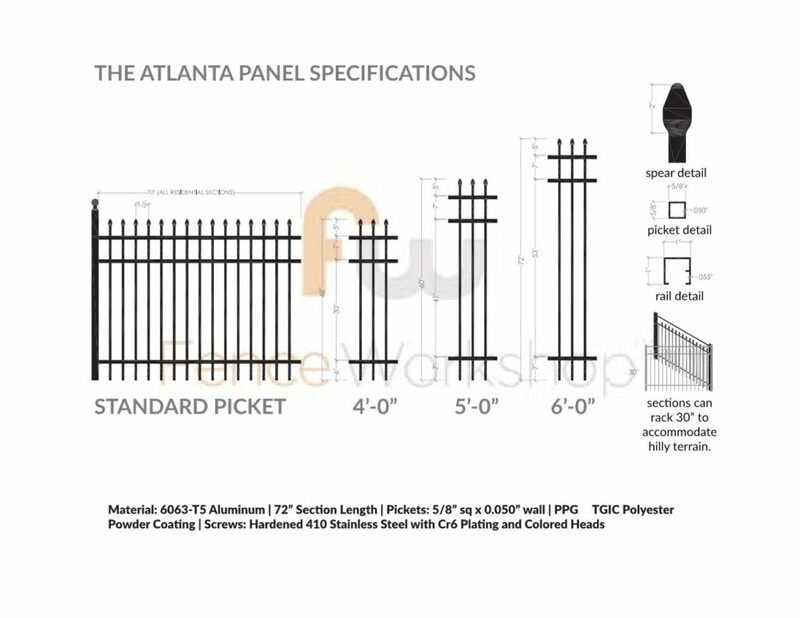 Our staff of skilled project planners can assist you with any additional questions you may have on this fencing product. An aluminum fence panel is made out of two basic parts: the horizontal rails and the vertical pickets that line them. The horizontal rails provide support and structure for the vertical pickets and are made out of high quality 6062 aluminum alloy which is both lightweight and extremely resistant to corrosion. We source our aluminum panels from American-made manufacturers so you know that your aluminum panels are compliant with American Architectural Manufacturers Association (AAMA-2604) requirements. Those panels are then powder coated to match your color specifications from our catalog of options. Powder coating is essential because while the aluminum panels are extremely rust resistant, powder coating gives an additional degree of protection to ensure your fence project looks perfect for a very long time. Powder coating these panels is also much more environmentally friendly than traditional liquid coating. This is something both you and your neighbors will appreciate. An aluminum fence is a significant investment in your home or business and should not be taken lightly. Now that you know one of the many major differences in our aluminum fences and the majority of those sold by other companies, we hope it will help in the process of making a smart purchasing decision that will provide you with the most long term value for your money. This fence comes with an E-Coat Twenty Year manufactures warranty, which is why Fence Workshop™ is proud to back these aluminum fence manufacturers. A common question we get at Fence Workshop™ is “why aluminum fencing?” As a premier supplier of fence material and fence supply accessories, we’re used to working closely with general contractors overseeing everything from big commercial projects to home improvement. As such, we definitely run into customers who are curious as to why aluminum fencing would be the perfect choice for their fence design project. Quite simply: our premium aluminum fencing withstands the test of time. It’s good looking, affordable, and highly customizable. It really is as simple as that. Now, the reasons for this is three fold. Reason #1: We protect our aluminum fence with a resilient powder coating. All our aluminum fence coatings are rated by the American Architectural Manufacturers Association (AAMA-2604) against corrosion and fading. That means your pool fence, curb appeal, apartment complex, industrial facility, or neighborhood community aluminum fence will be maintenance free and beautiful for decades to come. Reason #2: We only use high quality aluminum in our fences. 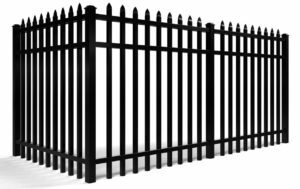 All fences sold through Fence Workshop™ are manufactured from aircraft-grade 6063 aluminum alloy. This type of aluminum is ideal not only for its lightweight, durable properties, but it also makes for a faster installation process than using a similar style of steel or other metal alloy. Match that with our AAMA 2604 standard compliant powder coating and you have a rust-free aluminum fence that will look great and stay solid for a long time to come. Reason #3: Your aluminum fence project is tailor made to your needs. Because Fence Workshop™ is a premier supplier of fence materials, we’re able to negotiate directly with the manufacturer to ensure you get the widest array of materials, powder coat finishes, and all at a price point that can meet your project’s budget. It’s for this reason that we’re able to work closely with you to identify all the pieces you will need to bring your aluminum fence project to life and ensure all those pieces are available for you and your installation team. No project is too big or too small for Fence Workshop™. We have helped countless home owners and gated communities find the perfect aluminum fence solution that is compliant with HOA requirements, local building codes, and insurance. Conversely, we’ve also helped industry professionals realize the added security and professionalism of having high quality, powder-coated aluminum fence guarding their leased or owned property. When it comes to shopping aluminum fence online, Fence Workshop wants to make the process easy! While we can always tailor projects to the specific needs of our customers, we also offer easy-to-order fence packages that allow you to purchase everything you need with just a couple of clicks. 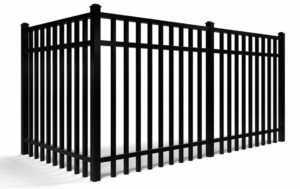 We have a variety of sized packages that will include everything from the correct number of posts, panels, screws, gate(s), and hardware that take the guess work out of purchasing a complete, beautiful aluminum fence for your space. Knowing which materials you need may seem like a daunting process for those customers new to the fencing industry – and we know that the last thing you want is to purchase too much or too little material when receiving large shipments. When you purchase a fence package, you’ll get several example layout options that are possible with your selected package as well as easy to follow installation videos and instructions. We’re making DIY-ers everywhere conquer their outdoor spaces like they never thought possible. And if you aren’t looking to install yourself, you can always hire a fencing professional to install your beautiful new fence, and save some money from purchasing the materials yourself in the process. Visit our fence packages page to learn more and find out just how easy transforming your outdoor space can be. Another wonderful benefit of using aluminum fence is that there are so many options to choose from. We offer multiple options in terms of powder-coating, fence height, post caps, gates, accessories, angled segments for elevation, and so much more. Once you explore Fence Workshop’s™ complete catalog of aluminum fence products, you may realize so much more was possible with aluminum fence than you may have previously imagined. If you’re ready to bring your fence project to life in new and exciting ways for either your commercial or residential plan, contact Fence Workshop™ today and speak with one of our highly trained fence design specialists, or visit our Shop Fences page to get started. Fence Workshop™ supplies a wide range of aluminum fences styles. Click on this Shop By Style link to view different aluminum fence styles and aluminum fence cost. We buy direct from the the top aluminum manufactures in the U.S. for a reason, it gives our customers almost any design option – from colors, picket styles, ornate additions, screw-less options, rackable panels and the most up to date new fence designs. It’s safe to say Fence Workshop™ has Georgia, Florida and North Carolina covered with options for Aluminum Fences. Where does Fence Workshop™ Sell Aluminum Fences? With low shipping costs on aluminum fencing, we’re able to ship our fence materials all over the continental US. At Fence Workshop™ we sell aluminum fencing in Georgia, Florida and North Carolina as well as provide fence materials delivery nationwide! We deliver to big cities and smaller areas like Atlanta GA, Athens GA, Augusta GA, Columbus GA, Macon GA, Savannah GA, Valdosta GA, Destin FL, Jacksonville FL, Orlando FL, Tallahassee FL, Tampa FL, Apex NC, Cary NC, Chapel Hill NC, Holly Springs NC, Raleigh NC, Wake Forest NC and many more. Once you’ve successfully planned out your aluminum fence project, you can order all of your pieces in our online store. 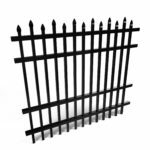 You can order them all separately, or choose from one our pre-packaged aluminum fence kits which will include everything you need to complete your fence. We then ship your material to your doorstep, and either you or your general contractor can begin the installation and assembly. Installing your aluminum fence panels is made a lot easier when you use Fence Workshop’s aluminum installation guides. Contact Fence Workshop™ today to learn more about how your aluminum fence project can spring to life! Ready to purchase high quality aluminum fencing materials? Our easy-to-use online shop makes purchasing beautiful new fencing a breeze! Browse our selection of aluminum fences and with just a few clicks, your new fencing can be delivered to your doorstep. We can’t wait to work with you!